When you have a great business idea you want to tell everyone. You set up your online storefront and wait for the customers to overload your website. Unfortunately, getting people to know about your brand is harder than it sounds, even in today’s world with internet access to billions of people. In order to get people to know about your idea or product you must come up with effective marketing strategies. 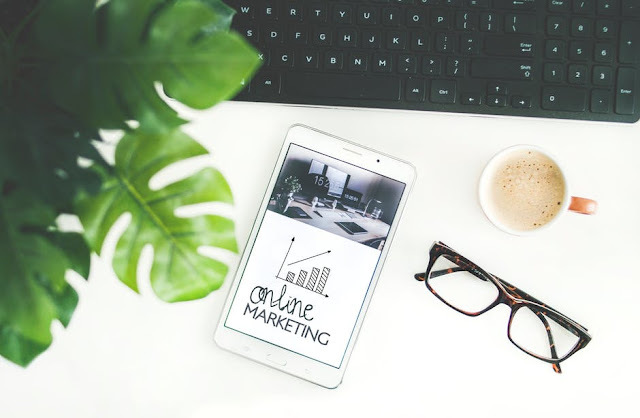 Here are several marketing strategies that can help your business thrive in a competitive marketplace. This might seem like the most obvious and perhaps, even, the most primitive. It can be very effective, however. Paying to have your brand broadcast across conventional media is an effective and easy way to get the word out and create brand recognition. The main drawback with this method is typically price. If you can afford it, it is a great way to supercharge your marketing campaigns. If you go to the lengths of paying media for advertising, make sure you mention your other marketing techniques, like your social media and cause marketing campaigns. A less expensive, but more labor-intensive method can be found in social media. There are options to pay to boost a social media campaign, which is typically more cost-effective than paid media campaigns through conventional outlets, but there is even low cost or no cost methods as well. Paying sites like Facebook can insure your product is seen by targeted audience, but it is also possible to post your product to targeted groups within social media. It is also free to Tweet and share your posts across different platforms, ensuring at least some exposure. Some tools allow you to automatically post without having to go through the process of creating and delivering posts. This can be an effective way to spread the word without committing much to your operational costs. Companies are often looking for help. Sometimes, instead of paying to promote your brand, partnering with a natural partner can amplify your marketing results. For example, if you want to sell pizza, partnering with a company that sells beer would make sense. People would combine your products and you could ride each other’s coattails. Everything you do could help your partner and vice versa. You create a win-win and increase your impact while decrease your expenses and efforts. Email is still the most trusted and effective way to get eyeballs on your brand. Even when people delete an email without opening it, they are often exposed to your brand and a snippet of your message. This is really, often, all you want. Using your email list makes your emails trusted and using services like Mailchimp allow you to broadcast your message to a large audience. Remember, marketing is about getting your brand seen and into the minds of your target market. Sometimes you see a company advertise that they are contributing to a cause or a certain amount of their sales go to a particular charity. This is a good way to get noticed and create a positive association with your brand. If people hear that you are contributing money to help save the rainforest or feed the hungry, they might choose your brand over a competitor in order to also help. It is an effective way to improve brand awareness and your public image. SEO is a critical, but not yet well understood method of marketing online. Many people go straight to search engines when they are looking for products. Because of this, it is more and more critical that your brand show up in search. SEO is the way to make that happen. SEO stands for Search Engine Optimization and is the method of driving your brand to the front page (and even the top of that page) when people search for terms that are relevant to your brand. A very effective way to market your product and close the deal on a sale is through coupon sites like Groupon. This gives you the opportunity to sell your products at a discount, but get the money in advance of services rendered and give your product exposure in the marketplace. Even if people don’t purchase the Groupon you offer, your business name is seen by those searching in that arena. With the power of the internet, we all have incredible power to open an online store or use the internet to improve our brick and mortar store. However, it is still critical to market your brand and to do it effectively. As much power the internet provides you, it also creates a large marketplace to compete in. Make sure your efforts are effective and your brand can be recognized and valued. I hope you enjoyed this article about ways to pull off effective marketing strategies for your business.